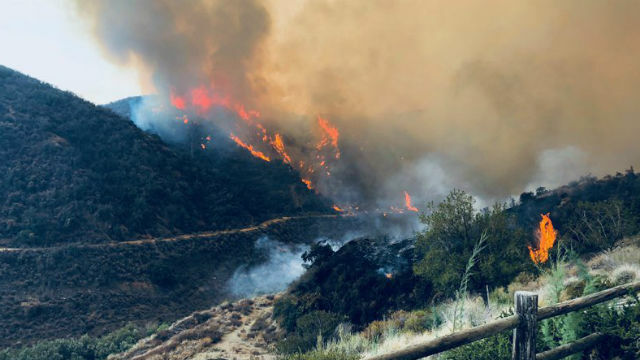 The Holy Fire, which erupted Monday afternoon in the Holy Jim Canyon area on the Orange County side of the Cleveland National Forest, has charred an estimated 10,236 acres and forced thousands of people from their homes as the flames advanced. Gov. Jerry Brown declared a state of emergency for Riverside and Orange counties Thursday due to the effects of the fire, allowing the state Office of Emergency Services to provide assistance to the counties.